New research, by Brown University, has brought us one step closer to terahertz wireless communication that could deliver data hundred times faster than the Wi-Fi and cellular networks of present times. For the very first time, scientists have successfully developed an integral component of terahertz-based data transfer: the technology for multiplexing different waves, so that they can travel through a single medium. Today’s Wi-Fi and cellular networks use microwaves to transmit data, like voice and video calls. Such systems, however, will soon be unable to handle the rapidly-increasing demands for high-speed data transfer. 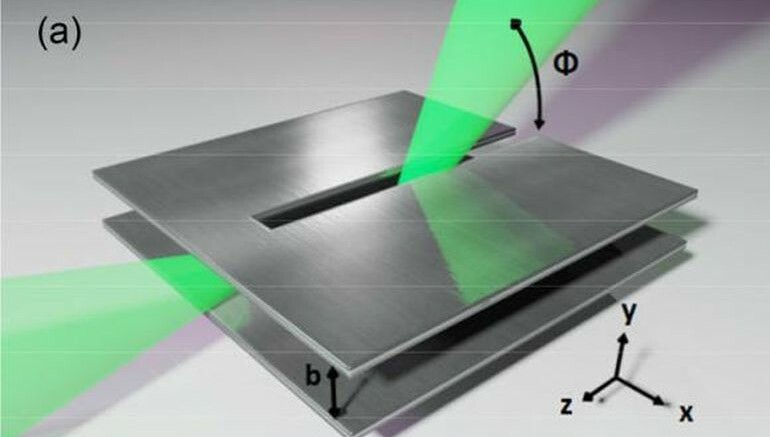 By contrast, terahertz radiation, also called submillimeter radiation, contains electromagnetic waves with very high frequency and consequently, higher potential bandwidth. Unfortunately, the scientific world has only recently begun studying the different properties and potential uses of terahertz waves. Any terahertz communications application is going to need some form of multiplexing and demultiplexing. This is, to our knowledge, the first time anyone has demonstrated a viable strategy for multiplexing in the terahertz range. That means if you put in 10 different frequencies between the plates — each of them potentially carrying a unique data stream — they’ll come out at 10 different angles. Now you’ve separated them and that’s demultiplexing.